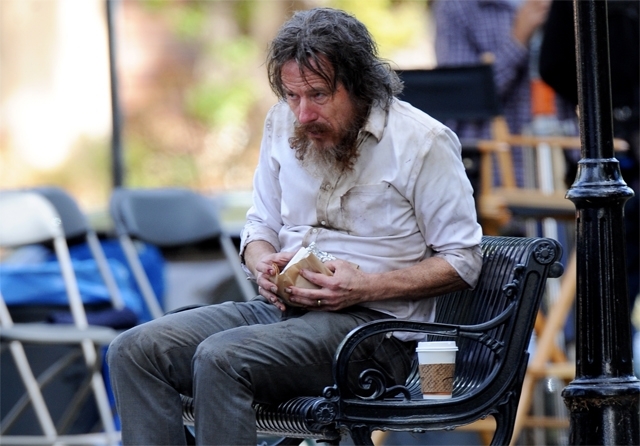 Bryan Cranston gives life to Howard Wakefield in this story written and directed by Robin Swicord. Once again, Cranston portrays a less than likable character, though, this time audiences will be hard pressed to find many redeemable qualities in Howard Wakefield, unlike ultimately family driven Walter White, Breaking Bad. Cranston carries this movie in a one-man show style as few others could. Though Jennifer Garner (wife, Diana), Jason O’Mara (rival, Dirk Morrison), and Beverly D’Angelo (busybody neighbor, Babs) are featured in the movie, they have very limited speaking parts. Howard fills in their dialogue from a window in an attic above the family’s detached garage. From this removed viewpoint Howard spies on his deserted family. Here Cranston shines and relating to the comments Howard fills in for the family life unfolding in front of him comes from a very relatable place; we all think things that we don’t say for decorum’s sake. Howard, a successful attorney with a beautiful wife and two twin teenage daughters seemingly has a perfect life. On a night that he comes home late from work, Howard follows a raccoon to an attic above his garage. From here, he can see his family at dinner and the disdain his wife has for his late arrival as she calls him. In a moment of avoidance, Howard decides to stay up in the garage rather than facing his wife and family. He falls asleep in a chair, and then the next morning decides he is not going to go back to his family at all. He doesn’t just leave his family at this point, he leaves his life. He eats from the garbage and continues to spy on his family from above the garage. Through a series of flashbacks, the rest of Howard’s life is filled in. This does little to improve our impression of him, as he has acted selfishly throughout. None of his decisions in life seem to be the result of love or fulfillment but are the result of envy and deceit. It is not hard to see why he has cracked at this point in his life. He did not value any of it in the first place, beyond the simple attainment ahead of others. The movie isn’t perfect. The introduction of a side story line where Howard befriends neighboring kids with down syndrome feels out of place. There were lots of opportunities to give him a chance to show a softer side of himself, especially given his own kids living right in front of him, so this portion of the story didn’t work. This was an odd movie to watch and it’s ending will leave you with a lot of good questions, but it is undeniably Cranston’s best performance on the big screen.